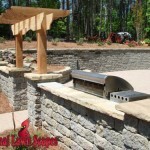 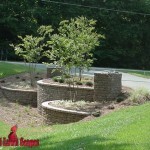 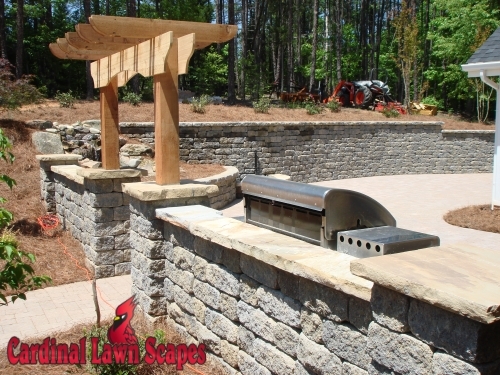 Adding custom designed hardscape features to your landscaping adds a beautiful design element to your yard for your family to enjoy and increases your homes’ value. 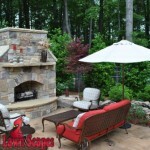 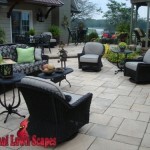 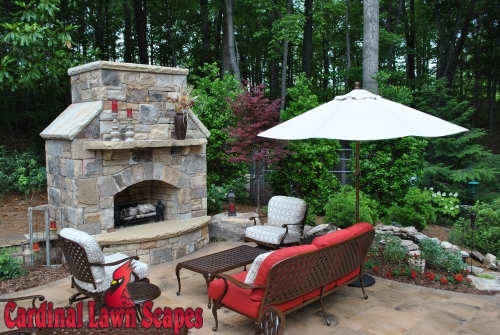 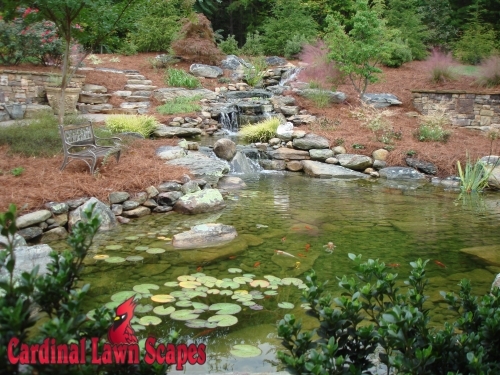 Cardinal Lawn Scapes can help you expand the living space of your home with a custom patio and built-in fireplace design, water garden or fountain with seating area or a nicely landscaped area for children and pets to play. 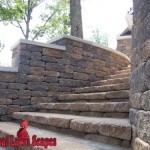 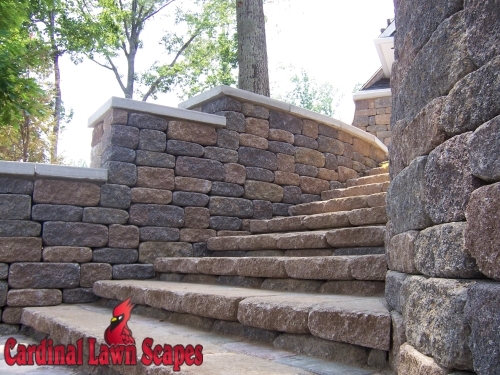 We can also help increase the accessibility of your yard with custom designed entry ways, steps, walkways or retaining walls. 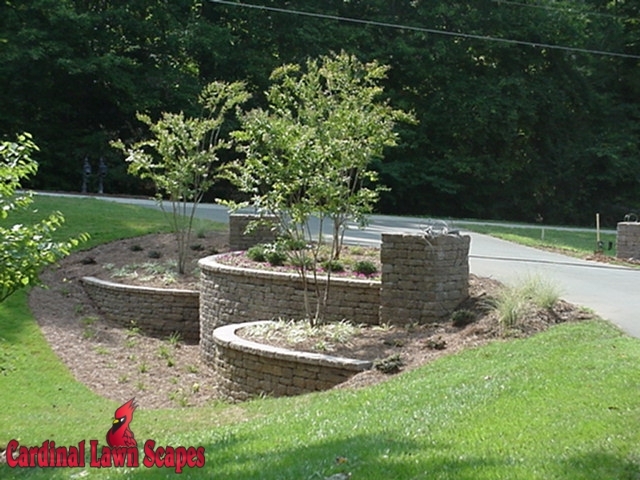 Cory Snow, owner of Cardinal Lawnscapes, provides all consultation and installation services and manages every aspect of your job on-site. 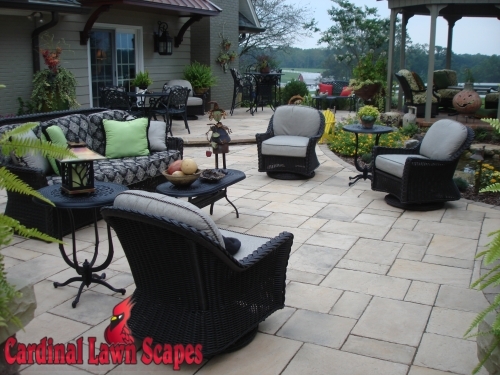 Cardinal Lawn Scapes is committed to providing our clients with unique designs that add to their homes’ value and available living space. 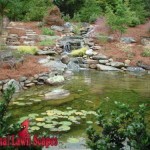 If you have questions or would like to schedule a free consultation, please contact us.